Nasarawa State Police Command has swung into action to investigate the mysterious death of three orphaned sisters in a community in Akwanga Local Government area of the North-Central state. 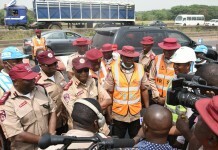 ASP Ismaila Numan, the state Police Public Relations Officer (PPRO), stated this in Lafia, the state capital, on Friday. He said even though an official report was yet to be brought to the police by the family of the deceased and other concerned persons, police held a discussion over the issue and decided to investigate what led to the death of the girls. “As of yesterday, there was no report on the matter to the police station. In fact, as of last night, there were no complaints, but I have spoken with the DPO to find out what happened and he assured me that he would get to the roots of the matter,’’ he said. The three sisters who were orphans and aged between 7 and 15 — Joy, Florence and Lois Bullus, lived in Ntsakpe village in Akwanga. The three girls were said to be hale and hearty and went to bed on Wednesday, but were found dead in a room on Thursday. Mr Abashiya Koto, Chairman of Akwanga Local Government, led a delegation from the council to the family of the deceased. Koto prayed God to grant the girls eternal rest and promised to liaise with the police to ensure that a full investigation was carried out to ascertain the true cause of death. Koto expressed sadness and shock over the death while condoling with members of the family and the community. “We will do whatever it takes to get to the root of this tragedy. It is sad enough to lose just one person but in this strange case, not just one person died, but three sisters died in the same room, on the same day,’’ he said. Village Head of the community, Mr Ladan Mbreki, said they had never witnessed such an incident in their community and that the deaths of the Bulus girls was a huge loss to the community. “Honestly, I don’t know how to describe the pain we feel now. These girls were healthy and okay the night before and the next morning, they are gone. The three of them died. It’s so painful,’’ Mbreki lamented. However, a relation of the deceased, Mr Asibiti Wakayi, opined that the three girls died as a result of smoke they inhaled from a burning candle they kept in their room while sleeping. “We did not immediately discover that they used candle until the next morning. This tragedy could have been avoided,’’ he said. Mr Joshua Danladi, an uncle of the deceased, noted that the door to the room of the girls was forced open when they failed to come out in the morning. Mrs Hannatu Abeshi, a resident of the area, also expressed sadness over the incident and other “strange happenings witnessed across the country”.